Born in Kyoto, Japan. Entered the world of wines through its allure. Took part in the opening of "Roppongi Regence" and gained experience to serve VIPs including ambassadors from all over the world. 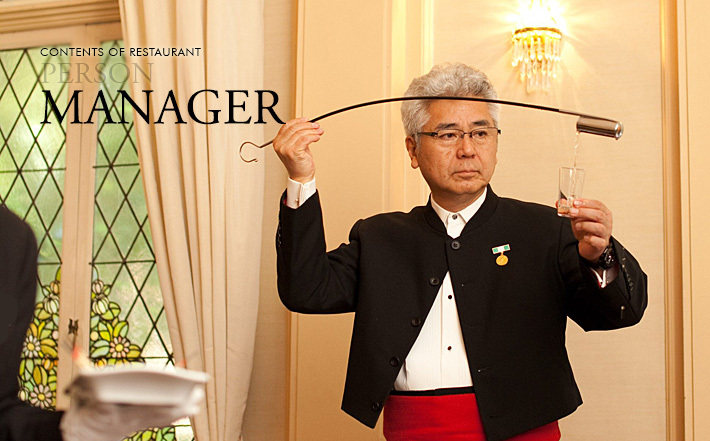 In 2002, assumed the position of chief manager from the opening of Ogasawara-hakushaku-tei. 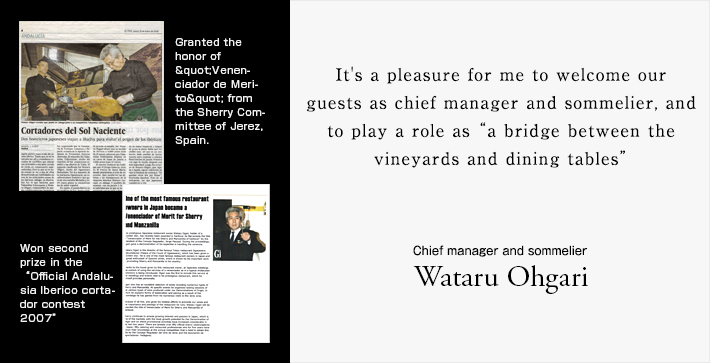 Made a great effort in acquiring the world of Spanish wine and its food culture. His technique is accurate and holds a high degree of completion, which won him the current position approved all over Spain.